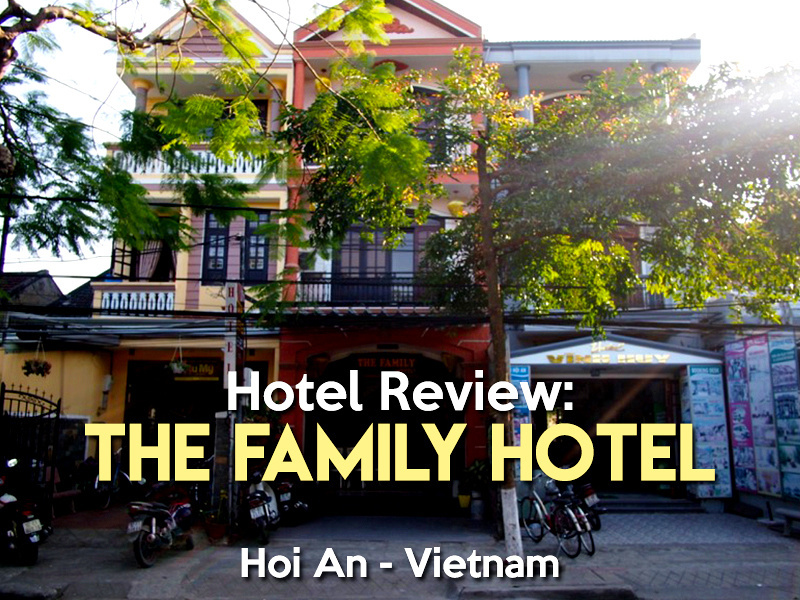 I stayed at The Family Hotel in Hoi An. I booked it online for its location and price, which was advertised at $12USD per night. The hotel was still listed as Hoa My I Hotel on some booking sites, and it still had some reference to Hoa My I, but the sign out the front is The Family Hotel. Hoi An is a small city that can be covered by foot very easily. This hotel is located outside of the historical area, about ten minutes walk from the start of the pedestrian zone. Having spent a day wandering around the historic section of town I preferred staying outside of it. This hotel feels more local without being too far from the action. I booked a single room and was allocated a twin room with two queen-size beds. The mattresses were of the firm foam variety – very comfortable that kept its shape. My room was in the middle section of the building so there was no window. My room had an ensuite bathroom. There was a window in the bathroom that let in light and air from the hallway. It was clean and the hot water system was instant and very hot. I had a good wifi connection in my room with two signals available. There was a basic Vietnamese-style breakfast available of eggs, a roll, and coffee, as well as fruit or pancakes. 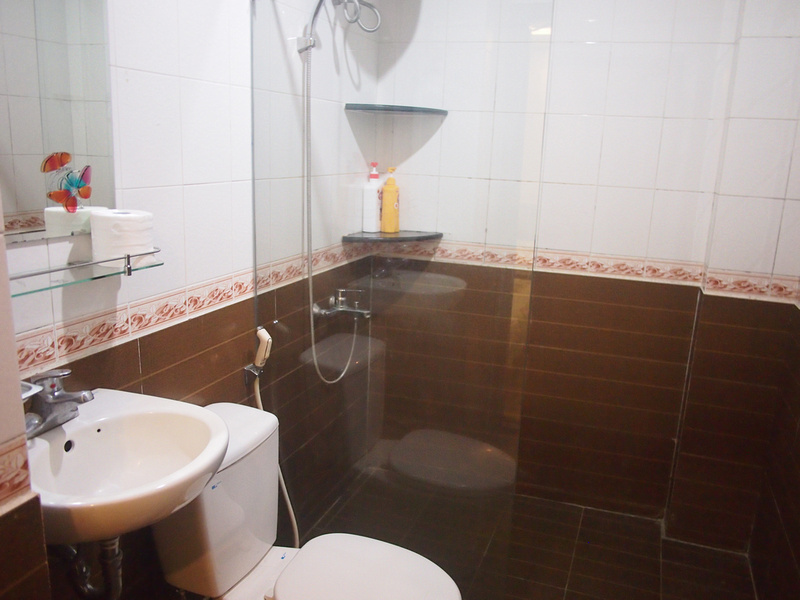 Overall this was a good budget hotel option – clean, basic, everything, worked, and the staff were friendly. 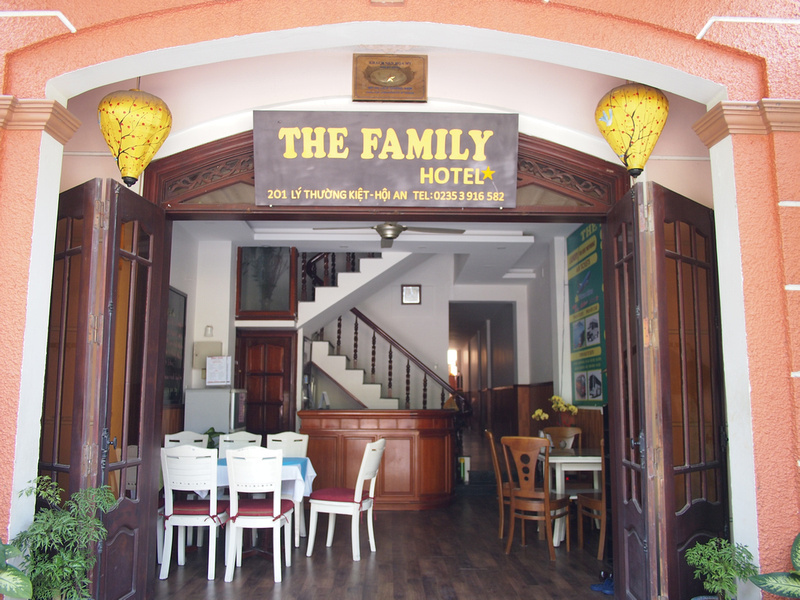 Book the The Family Hotel online or search for more hotels in Hoi An. Here is a review of where I previously stayed, at the Tigon Homestay.